Can I Sue Uber or Lyft for Personal Injury or Wrongful Death? Yes, if the facts of your case support a personal injury or wrongful death claim against Uber, Lyft, or another ride-share company, you can sue for compensation and thereby hold the company accountable. Was the at-fault driver working at the time and either waiting for a rider or transporting a rider? Were you a passenger in a vehicle (generally a van, SUV or car) driven by someone transporting you for the company? Were you in another vehicle that was hit by someone driving for Uber or Lyft? Was more than one driver at fault? Is it unclear who was at fault? What are the insurance policy limits for the at-fault driver(s) and the companies? If you were assaulted in a car, SUV or other vehicle in service for the company, you may have the right to sue the company for the assault. Contact our lawyers about a lawsuit against Uber or Lyft using the form below. Uber and Lyft have insurance to cover bodily injury crashes that happen when a driver is carrying a passenger for their company. They also have very limited insurance to cover crashes that happen when a driver is not providing transportation service for hire but is logged onto the company network and available to accept a ride. Uber may deny liability (legal responsibility) for your injuries or the wrongful death of your loved one. In these cases, it is extremely important to get a really good lawyer to conduct an independent investigation. 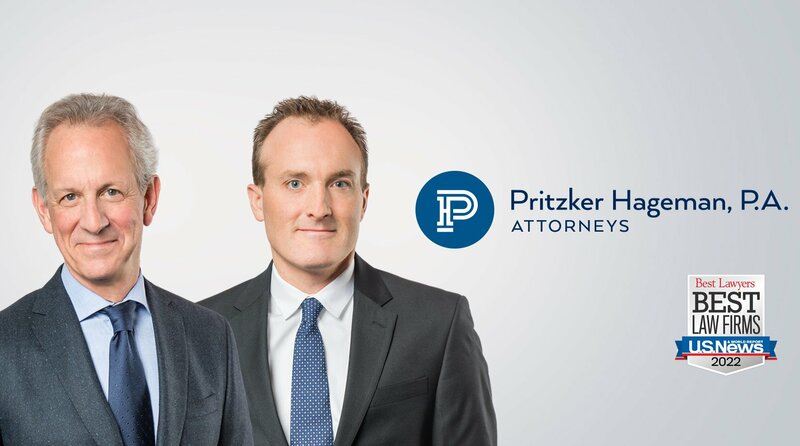 Attorneys Fred Pritzker and Eric Hageman won “Attorney of the Year” awards for winning a case where a bicycle rider was killed when she was run over by an 18-wheeler truck turning left. The police report said the truck driver was not at fault, so the trucking company refused to take any blame and compensate the family. Fred and Eric worked hard and found evidence that the truck driver was at fault. The trucking company refused to make a settlement, so the case went to trial. Fred and Eric argued the case before a jury and won a verdict for over $2 million. This case did not involve Uber or Lyft. In most cases, a company facing liability for personal injury or wrongful death is going fight hard to deny that liability, especially in big cases that could lead to multi-million-dollar settlements and verdicts. Our car accident lawyers can help you get a money settlement. A modified 2017 Volvo XC90, owned by Uber and occupied by a driver and no passenger was using a self-driving system in computer control mode. The car hit a pedestrian March 18, 2018. The pedestrian was fatally injured. The National Transportation Safety Board (NTSB) investigated. The Uber self-driving system data playback from the fatal crash of the Uber Technologies, Inc., test vehicle showed that, at 1.3 seconds before impact, the system determined emergency braking was needed to mitigate a collision, according to NTSB. However, the NTSB stated in a press release that emergency braking maneuvers were not enabled by Uber because the vehicle was under computer control to reduce the potential for erratic vehicle behavior (“Preliminary Report Released for Crash Involving Pedestrian, Uber Technologies, Inc., Test Vehicle” dated 5/24/2018). An Uber vehicle made by Volvo that was driving in the autonomous mode (self-driving) hit and killed a woman riding a bicycle, Elaine Herzberg, a 49-year-old. A human vehicle operator was behind the wheel. The accident happened in Tempe, Arizona. A wrongful death lawsuit was filed against Uber on behalf of a family whose little girl was run over and killed by a car logged on to the company’s smartphone app, waiting to provide rides, according to the suit. The accident happened New Years Eve, and the suit was filed on January 28, 2014. A woman has sued Uber for an assault that allegedly happened when she was getting a ride from a man driving for the company. The lawsuit claims the woman was raped. Read the full article. You can call our law firm at 1-888-377-8900 toll free or contact us using the form above. Our car accident lawyers have offices in Minneapolis, MN and help injured people throughout the United States.